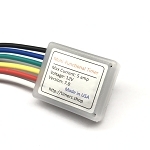 Timer configuration board is an optional accessory. 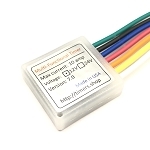 It connects to the timer configuration wires and designed to simplify timer configuration. Two buttons are used to put the timer into the programming mode and set timing, function, trigger and related parameters. Though this configuration board is optional many customers would benefit from having one of those.